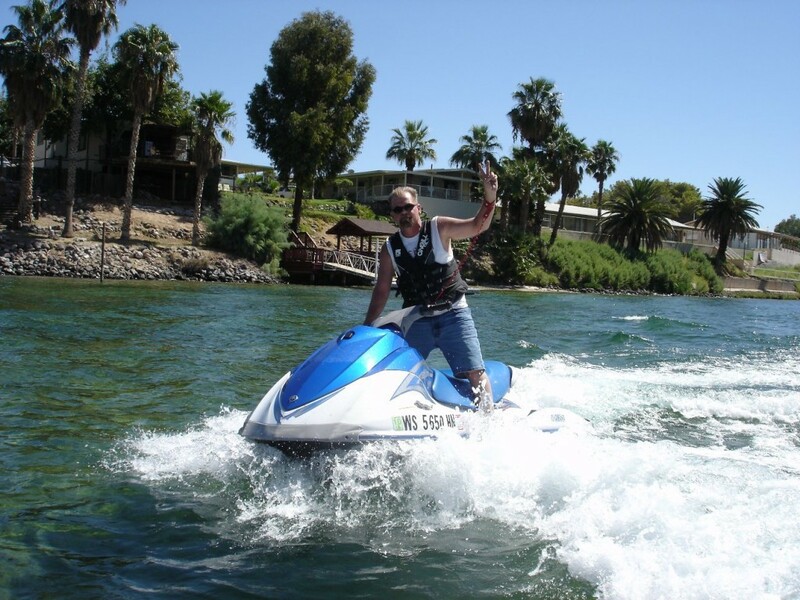 If you are interested in a Jet Ski rental or Boat rental in Las Vegas, NV, then you need to look no further than Above All Las Vegas ATV Tours & Watercraft Rentals! With our easy to operate watercraft rentals we are sure to have something specific that fits you, your comfort level, and experience. 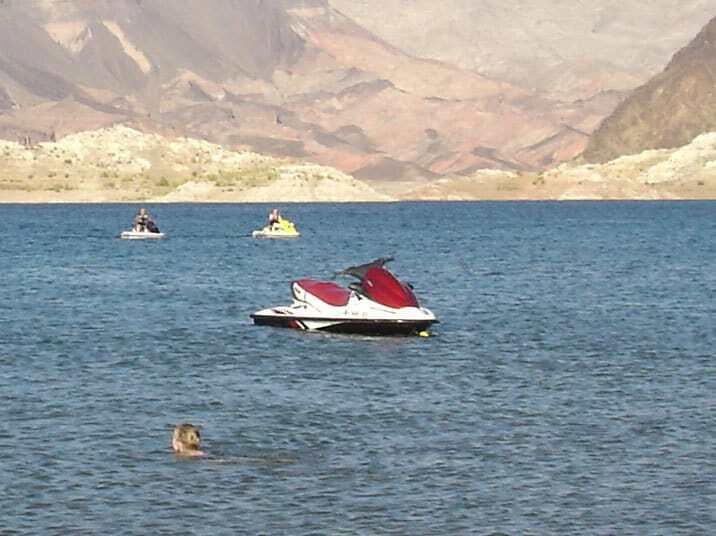 Whether you call it a jet ski, wave runner, seadoo, pwc (personal water craft), water scooter or water bike, with our expert staff on hand to help you plan your day of “Fun In The Sun” at Lake Mead and beyond, rest assured we have what you need to have a great time out on the water! Designed for those that want exceptional performance, comfort and handling when riding one, two or three up. The VX110 offers hours of fun for the entire family. The VX110 Sport is a compact, ultra-lightweight, 110 horsepower four-stroke Yamaha marine engine, four-cylinder, 20-valve, liquid-cooled engine for class-leading performance. Designed for those that want exceptional performance, comfort and handling when riding one, two or three up with the versatility to tow wakeboarders or skiers, the VX110 offers hours of fun for the entire family. The VX110 Deluxe is powered by a newly designed Yamaha MR-1™ four-stroke engine. This is a compact, ultra-lightweight, 110 horsepower, four-cylinder, 1052cc, DOHC, 20-valve, liquid-cooled engine for class-leading performance. The FX Cruiser is designed for those who want exceptional performance, comfort and handling when riding alone or towing wakeboarders or water skiers. Based on the world's first four-stroke watercraft (FX 140), the Yamaha WaveRunner FX Cruiser's comfortable two-piece seat includes an extended rear seat. 3 person capacity total. 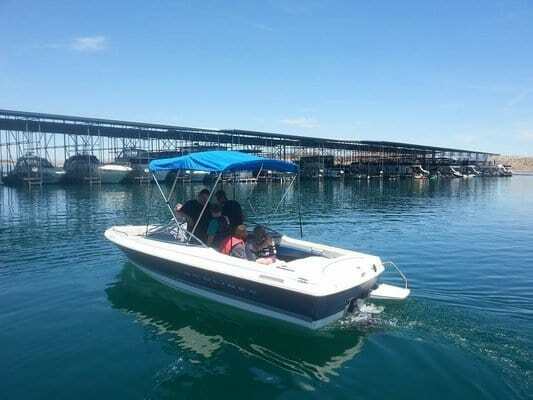 Great for towing tubes, skiers and wakeboarders for a great day of fun with family and friends while enjoying a day of fun in the sun at Lake Mead and beyond! 8 Passenger Boat designed for comfort with an Inboard/Outboard 5.7 Mercruiser V8 Motor for the Performance enthusiasts who are looking for the perfect combination of comfort, power and performance! Comes equipped with a Bimini Top for shade, 8 lifejackets and front beach and rear bottom anchors. Our staff has years of experience in the jet ski and watercraft rental business as well as an intimate knowledge of the local scenery and surrounding lakes so we can help you achieve your goal of having a safe and fun time, enjoying your summer time fun with family and friends. 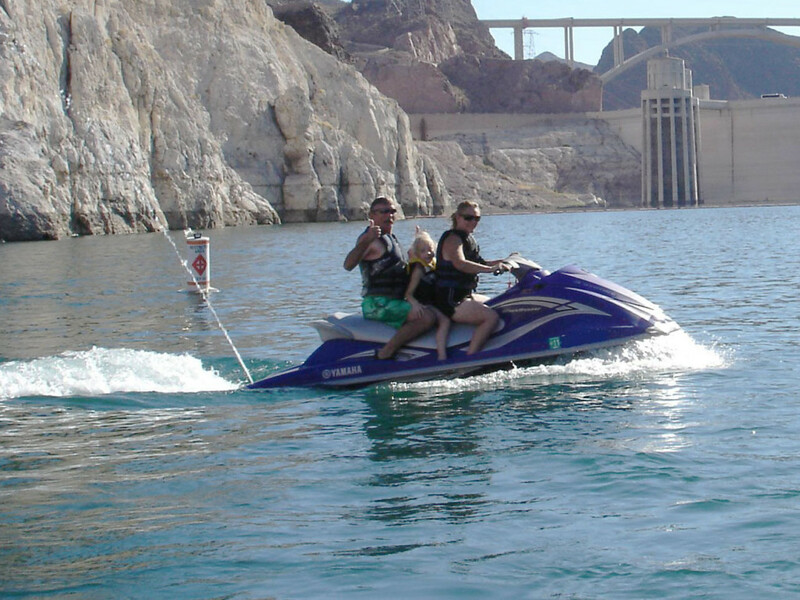 Feel the rush of adventure and get in on the action as you jet around, chopping the waves on a speedy waverunner, or taking the family out for an adventure, tubing and water skiing in the wide open spaces, while taking in the beautiful scenery of Lake Mead and Hoover Dam up close and personal! We allow you to take our Watercraft to other exciting places such as Laughlin, Nevada riding with the current of the Colorado River. Willow Beach, Lake Havasu or Lake Powell in Arizona. Big Bear Lake in California. The possibilities are endless! So why wait? With our great rates and affordable pricing there has never been a better time to get out there and enjoy the open water. Don’t have a way to tow the watercraft? No problem, we also have UHaul Truck Rentals available for your towing needs. Here at Above All Las Vegas ATV Tours & Watercraft Rentals we have everything you need for an awesome day of water sporting fun! Call us today and get started planning your next jet ski or boating adventure with one of our state of the art, high powered watercraft with Above All Las Vegas ATV Tours & Watercraft Rentals!